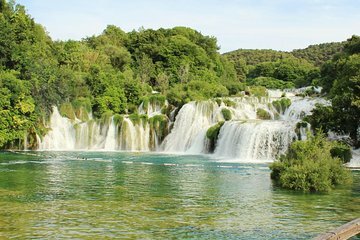 Experience the lush nature and relaxing waterfalls of Krka National Park during this full-day, guided tour that includes a boat cruise along the Krka River. Wind your way along the Dalmation coastline before boarding a boat bound for the Skrandinksi Waterfall. Here, relax enjoy a swim, explore nature, and take a break for lunch at a local restaurant. In the village of Ethno, see 19th century mills and walk in the surrounding forest.